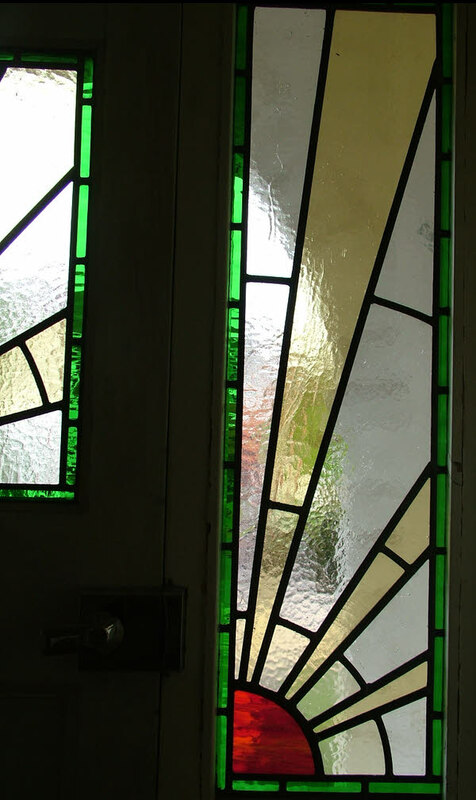 This house in Dorking, Surrey is in a road where there is a lot of leaded glass. 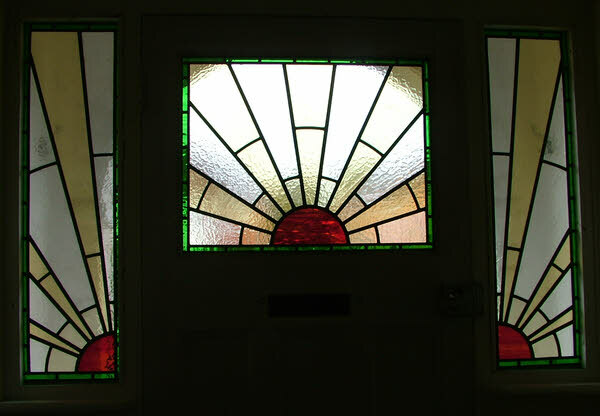 The traditional stained glass 1930’s sunburst design is in a lot of other properties but just in clear textured glass with no colour. My customer was keen to add some colour and extra interest to their front entrance and so I designed these windows for them. I have used the traditional 1930’s sunburst but updated a bit with some great glass!